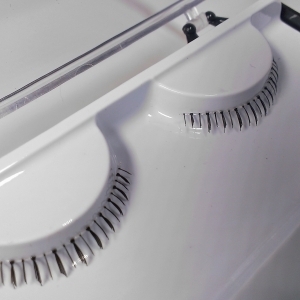 The strip eyelashes have first of all to be held to see how much they need to be shortened. Often they are too long for the right look. 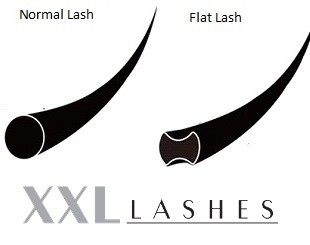 The best length starts approximately in the middle of the lower eyelid till the end of the outer rim needing the lower eyelid to be simply halved. The other half can be used the next time. 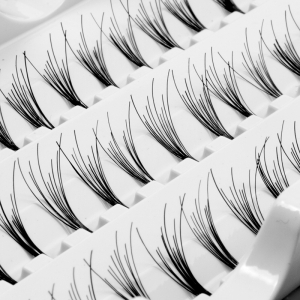 After that, spread the glue on the surface meant for glue, let it dry for 5—10 secs and then place it close under to the natural eyelash line. Do not touch the waterline of the eyes as this could make application uncomfortable. Stick it such that the natural eyelashes do not get stuck too, so that they do not tear when you later have to peel the false eyelash strip. 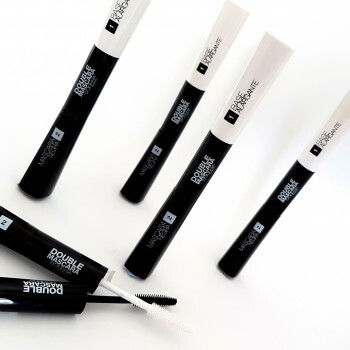 After the glue hardens and becomes invisible you can cover the gaps in between with kohl or eyeliner.